Enrico’s Italian restaurant is a great experience! They serve delicious pizza, pasta and seafood with some interesting extras like their kudu and avocado starter. It is down the road from Tamodi at Keurbooms beach. The terrace is in a wonderful position, overlooking the beach and sea and is a prime site for watching dolphins and whales with sweeping views across the bay to Robberg. The atmosphere inside is friendly, homely and relaxed with Enrico always making an effort to come out of the kitchen and chat with friends and patrons. *Tip: In Peak season this restaurant is busy! 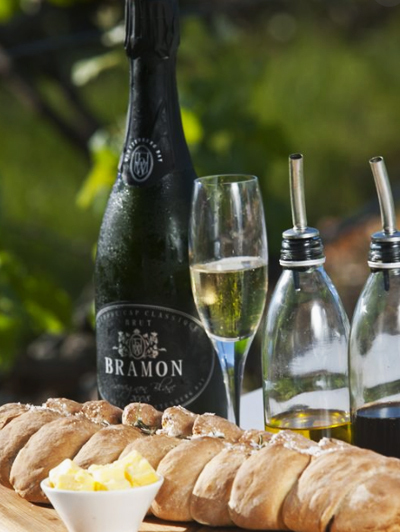 Get there early if you want to get a table..
One of our favourite things to do is to go for a leisurely lunch at Bramon. This boutique Wine Estate is situated very close to Tamodi. 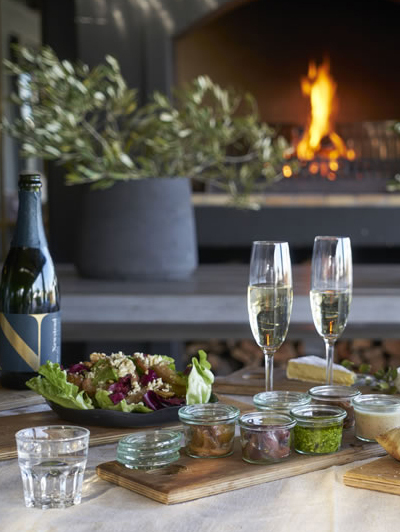 The family-run estate has broken new ground by pioneering vineyards in the Plettenberg Bay area, producing an award winning Methode Cap Classique sparkling wine. Enjoy an afternoon of local wines, cheeses, oysters, meats, pates and more all served with freshly baked homemade breads and polished off with a decadent dessert. *Tip: The best tables are the ones in the rows of the vineyards, booking is recommended. Newstead is the perfect place to relax in the afternoon with a crisp glass of bubbly! This is a family-run wine farm and restaurant that began to take shape in 2006. 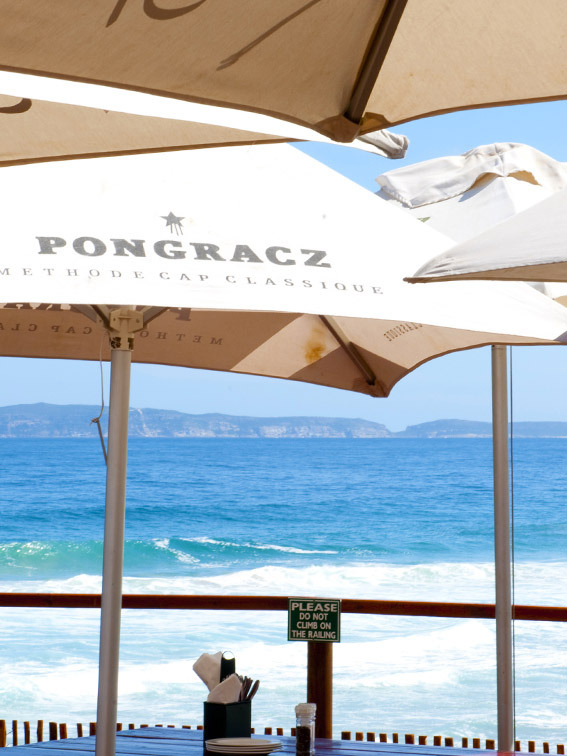 Since then, they have begun producing some of Plettenberg Bay’s most enjoyed wines. Sit back and enjoy the views of their pristine vineyards while savouring a delicious meal off their menu. For an establishment that views wine as very much like life, they have taken care to create an atmosphere of warmth and family. Tip: their Methode Cap Classique Rose is absolutely delightful! This is the perfect bubbly to enjoy with any meal on their wonderful menu. Tenikwa Wildlife Awareness Centre in Plettenberg Bay offers a truly unique Wildcat Experience. Guests are taken on a guided tour to meet captive-bred furry felines, living in a semi-natural environment. 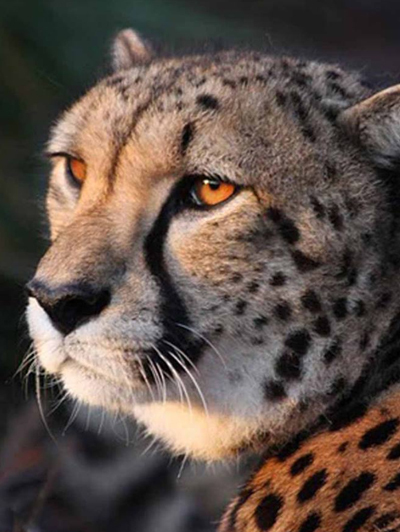 So close, you can hear them purr… During the one hour guided tours you are guaranteed to see the charismatic Cheetah, ZweLakhe the Leopard and enjoy a cat and mouse game with South Africa ’s seldom seen Lesser indigenous cats. 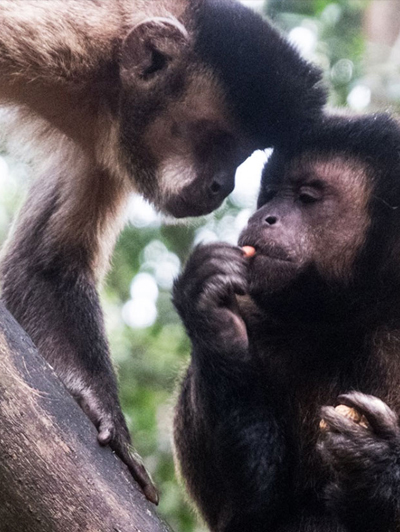 Monkeyland’s mission is that guests leave the sanctuaries (Monkeyland and Birds of Eden) with a greater understanding of the primates of the world and the threats they are facing. Monkeyland is the worlds first free roaming multi-specie primate sanctuary. They presently give 15 different species of Primates a home. *Tip: You can buy a Monkeyland and Birds of Eden combo, making it more affordable than buying them separately. ADDRESS: 2km off the N2 (the Crags), and the tarred road is well signed. The unique two hectare dome (the World’s largest) spans over a gorge of indigenous forest. Like Monkeyland, the popular primate sanctuary next-door, Birds of Eden boasts its own canopy walk hanging above the clouds. 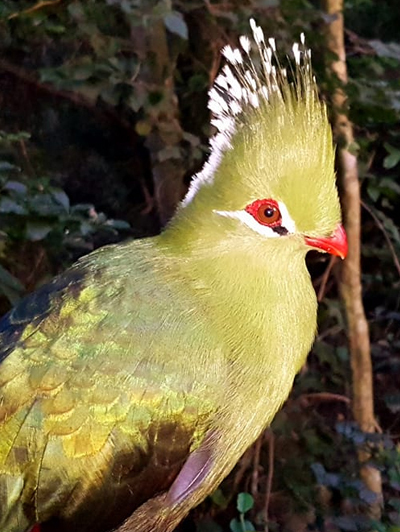 Birds of Eden stems from the need to create a safe environment in which to release a large collection of free-flight African birds, miniature monkeys and the sanctuary also enables bird owners to apply to release their pet birds into the sanctuary, after undergoing rehabilitation. Ocean Blue offers a rare and powerful experience through permitted boat based whale & dolphin encounters. Ocean Blue is a licensed SABBWWA permit holder, which enables them to approach whales from 50 metres instead of 300 metres. 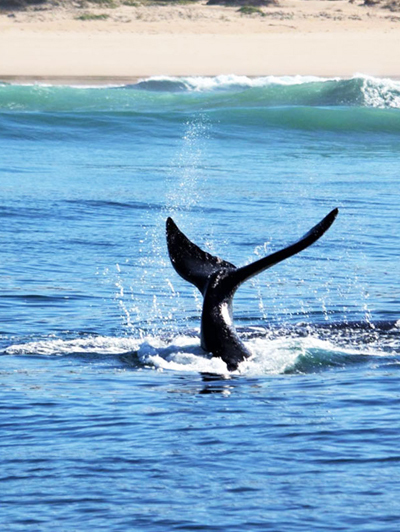 The guests therefore get an up close experience with these majestic mammals in the bay. Summer is dolphin season and winter is whale season. Close to Tamodi in the hidden valleys of The Crags, is this multipart kloofing route which is tremendous adrenline fun! 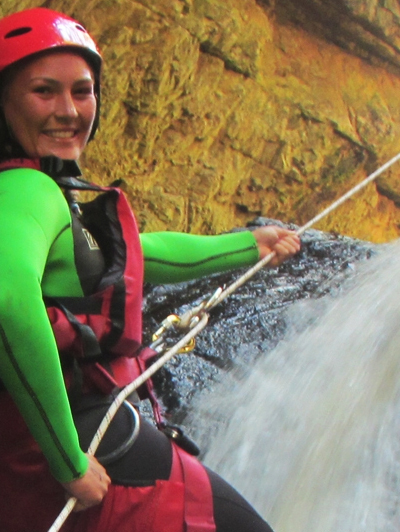 Run the river with AfriCanyon, navigate through the river shallows, swim through natural tannin coloured fresh-water mountain pools, maneuver down water slides and abseil waterfalls as you dip down into the river gorge. Using the latest spec adventure equipment, your qualified guide ensures a kloofing adventure you simply can’t get enough of.